Thread Have you ever seen Swansea City relegated before? Have you ever seen Swansea City relegated before? Can someone give me a link to anything in the universe as long as it's not Swansea City v Bournemouth? I'm desperate to not watch this. Aside from the Swans/football, the only sport I tend to follow these days is boxing, and, as we occasionally have a few boxing threads pop up, thought we might gather our thoughts under one thread. Anyone else see Lomachenko v Walters? bizarre ending to that fight with Walters quitting after 7 as he couldn't be arsed to continue. Lied to Palace to get a £2 million bonus paid early, then quit the very next day after banking the cash. Even got players to lie in court for him. Thread Guidolin v Sousa: Who names the most 'WTF?' starting 11s? “It was probably more difficult to manage at Swansea than it is being here,” he says. “I have a refined way of working in terms of what I do and I’m able to do it with a blank canvas." 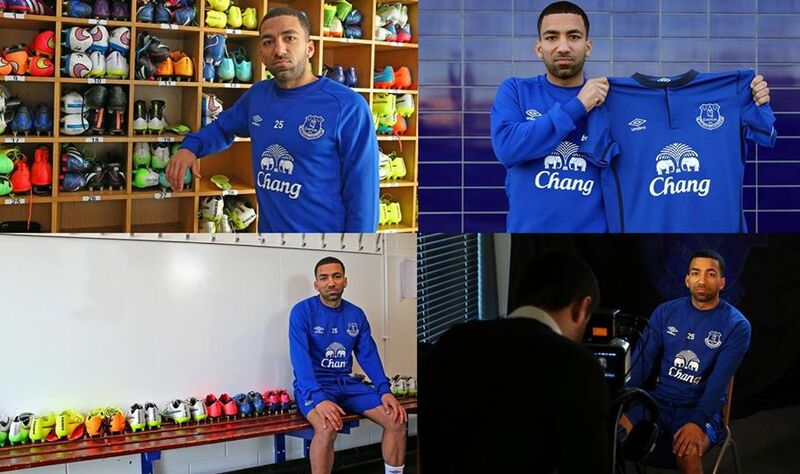 Hopefully he'll stick a 30 yarder into the norwich net on the weekend. Embarrassment of riches in some respects. Thought today's selection was a good balance, even if confidence was a bit low. Harsh on Cork and Leon, but I feel comfortable with that line-up; a good balance. Gylfi and Jonjo are starters for me; Think Ki and Cork just have to accept a season of rotation. We didn't even need Montero. 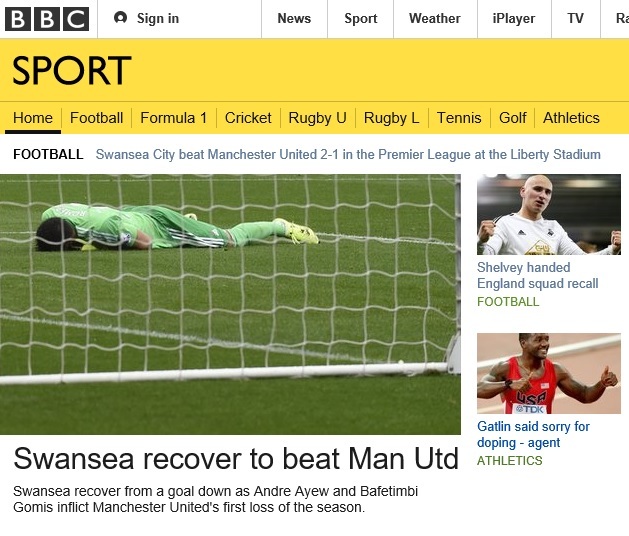 Not a BBC Sport homepage I'd have expected to see when a nipper as we trawled the nether regions of division 4. Granted, there was no such thing as the internet then, but still, if there was one, the sport section would absolutely not have a main picture of a Manchester Utd goalkeeper collapsed in defeat on the floor as we beat them in a top-flight league game, with a side photo confirming the call-up into the England team of one of our players. Saw this casually mentioned on the Sky Sports media round-up this morning. Or at least I think I did...I hope I didn't imagine it, I'd like to think I have a more exotic imagination than that. Competition for KOL in the area of cone-placing? Please remember it's Yaya Toure's birthday today. To not acknowledge this would be very disrespectful. Thread Do you want us to qualify for Europe this season? Glimpses of his old self today. Generic hipster from London has prepared a polecat and oud souffle with soupcon of otter breath on a bed of japanese yard-grass. Beth from Swansea has made fish and chips with curry sauce. Why didn't I get the memo about these guys? Popped up on spotify radio the other week. ...it made the world seem such a collective, nice place. Maybe it's just London, but, f*cking hell people, nothing wrong with a 'good morning' to someone you cross paths with at a bus-stop. They're not here to kill you or enslave your kids.